A herd of grazing goats greets visitors to Chane Cheese Farm which is situated a short drive from the towns of St Lucia and Mtubatuba. 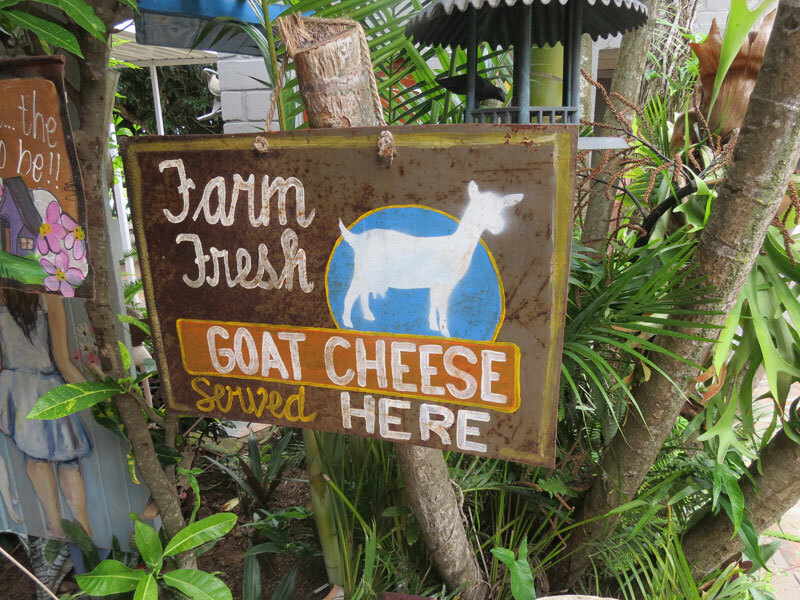 After reading about the farm in a magazine and having been told they make a delicious toasted (goats) cheese sandwiches, my father insisted we pop in on the way home after a few days stay in St Lucia. Delicious meals are served on a spacious wooden deck which has a magical view of timber plantations and sand dunes. A large number of guests can be seated both on the wooden deck and at smaller tables outside the farm shop while a sparking swimming pool is set adjacent to the deck area so if need be one could have a dip in the pool while waiting for a meal to be served! Being the Christmas holidays, Dad and I over indulged somewhat and sampled a milkshake each, followed by a sandwich with gorgonzola, figs and toasted almonds before completing the meal by sharing a rather large slice of lemon meringue pie … all of which was absolutely delicious. The menu is extensive and serves home-style, wholesome and tasty food. The wood-fired pizzas are worth a try as are the range of cakes. As a mother of two children (a three month old and a two year old), I understand that a play area can make or break a meal! 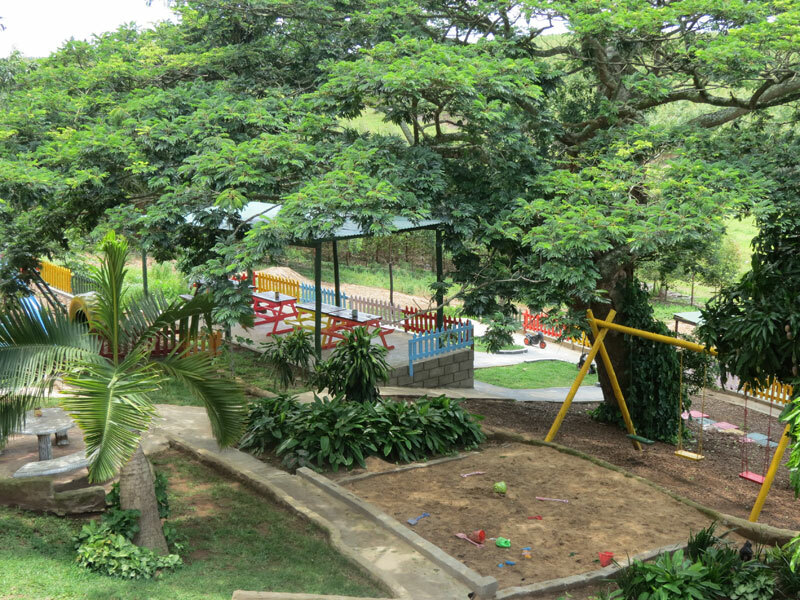 My eldest child was not with me when I visited the Farm but I was thrilled to see the large and colourful play area which also includes a putt-putt course and large open spaces for children to let off steam. 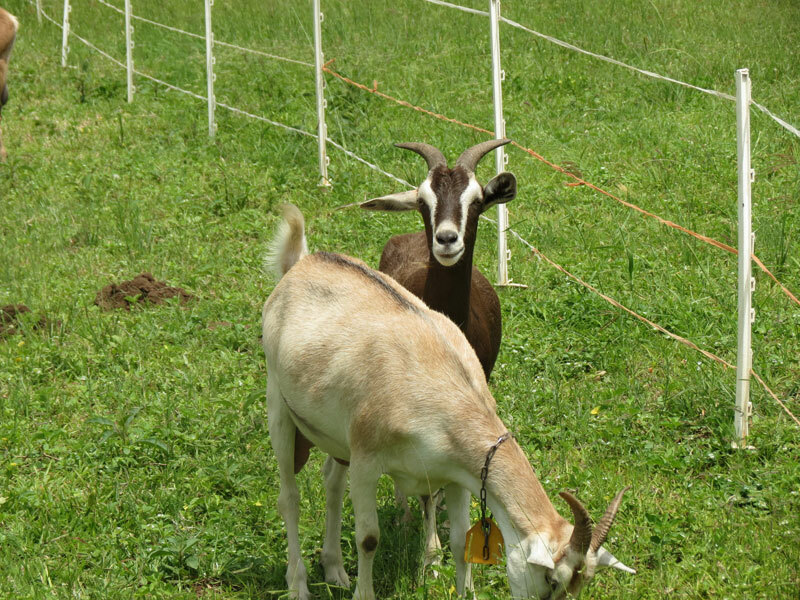 Cheese tours are also available; one is able to milk a goat and get a brief insight into cheese making … an educational excursion for the entire family. 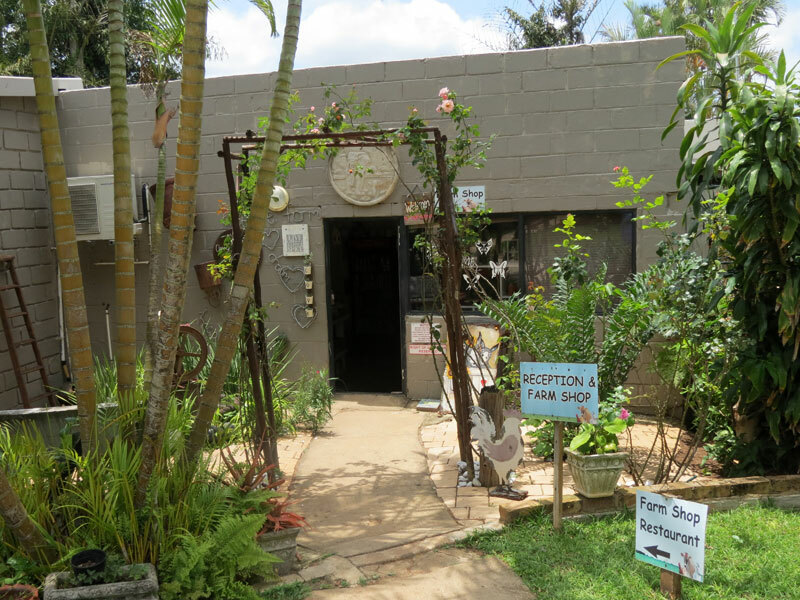 Chane Cheese Farm boasts a beautiful shop which offers a range of gorgeous bags, cotton table napkins, scarves, jams and preserves, soaps, body products and of course cheese which is made on-site. I thoroughly enjoyed our stop at the Farm; our meal was fantastic, the setting beautiful, staff helpful and kind. I’m only sorry that we didn’t have enough time to stay for a cheese tour but that gives us an excuse to go back again! 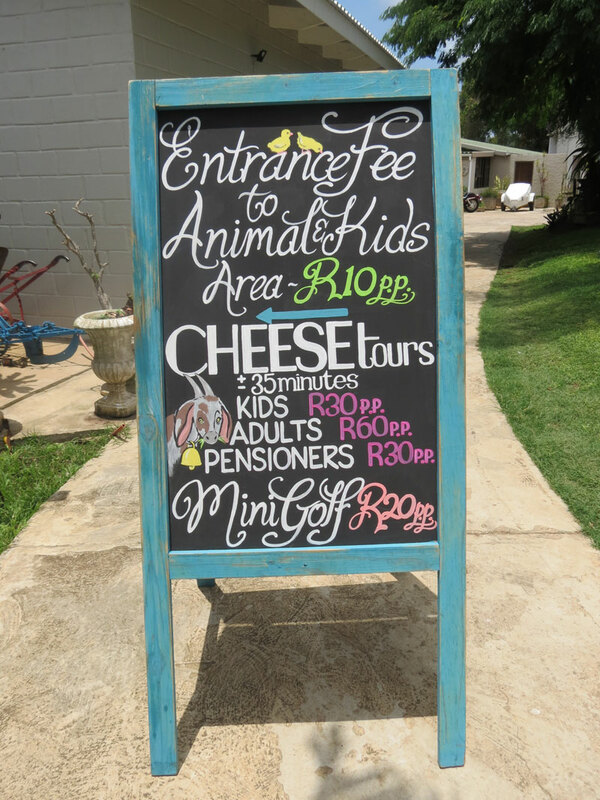 Chane Cheese Farm is off the R618 between Mtubatuba and St Lucia.